Private investigator Mel Sampson (Academy Award nominee John Hawkes) is tasked with tracking down the whereabouts of a missing woman from his own past. 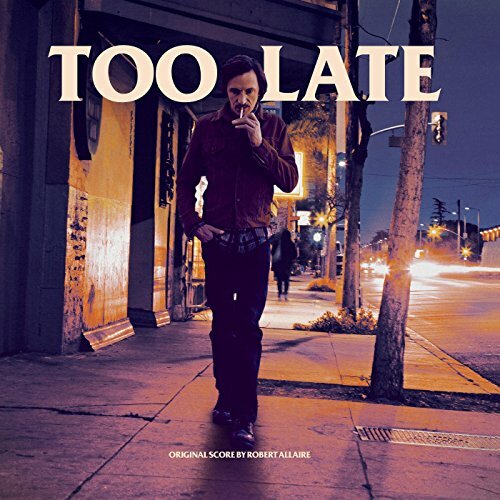 With this familiar setup, TOO LATE takes the spine of the classic private eye genre and tears it to pieces, weaving it back together into a tapestry of southern California and the menagerie of eccentric personalities and lost souls who inhabit it. From the desolate, overgrown Radio Hill to the ritzy penthouse of The Beverly Hilton, the film presents a sprawling view of Los Angeles that ranges from the undiscovered to the iconic. The movie soundtrack of Too Late will be released on April 12, 2016 by Foe Killer Records.